Sherwood Schwartz, writer and creator of two beloved sitcoms from the 1960s and 1970s, Gilligan's Island and The Brady Bunch, has died. He passed away peacefully in his sleep of natural causes at 4 a.m. Tuesday, July 12, at Cedars-Sinai Medical Center in Los Angeles, where he was being treated for an intestinal infection and underwent several surgeries. Mr. Schwartz was 94. Schwartz's entertainment career began as a writer of jokes for Bob Hope's radio program, The Bob Hope Show, in 1939. He would go on to write for other radio programs in the 1940s, including The Adventures of Ozzie and Harriet and The Alan Young Show. His television career began as a writer for I Married Joan, The Red Skelton Show (winning an Emmy Award in 1961) and My Favorite Martian. In 1964, he created Gilligan's Island, which starred Bob Denver, Alan Hale, Jr., Jim Backus, Natalie Schafer, Tina Louise, Russell Johnson and Dawn Wells. The show followed the comic adventures of seven castaways as they attempted to survive and ultimately escape from the island where they were shipwrecked. Although the show aired for only 3 seasons and 98 episodes on CBS from 1964-1967, it became a cult classic in syndication. Two animated series (The New Adventures of Gilligan and Gilligan's Planet) and three TV reunion movies (Rescue from Gilligan's Island, The Castaways on Gilligan's Island and The Harlem Globetrotters on Gilligan's Island) were later produced. In 1966, he created the science fiction sitcom It's About Time, which dealt with two astronauts being sent back into prehistoric days. His next big success came with The Brady Bunch. 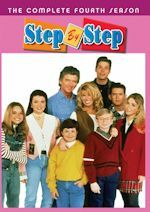 The 1969-74 ABC sitcom starred Robert Reed, Florence Henderson, Barry Williams, Maureen McCormick, Christopher Knight, Eve Plumb, Mike Lookinland, Susan Olsen and Ann B. Davis. 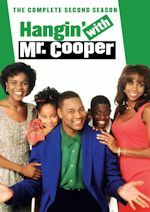 The series revolved around a large blended family when a widow with three daughters marries a widower with three sons. 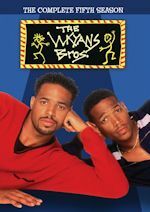 Although the show was never a huge ratings or critical hit during its original primetime run, it became a cultural phenomenon in syndication over the years. The success of the show would lead to the animated series The Brady Kids, a variety series called The Brady Bunch Hour, the TV movie The Brady Girls Get Married and TV series The Brady Brides, A Very Brady Christmas TV movie, the TV dramedy The Bradys, and two theatrical movies. Schwartz's other television writing, creating and producing credits included Dusty's Trail (starring Bob Denver), Big John, Little John, Harper Valley PTA and Together We Stand. 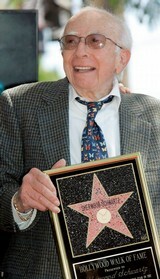 On March 7, 2008, he was honored with a star on the Hollywood Walk of Fame. Mr. Schwartz is survived by his wife of 69 years, Mildred Schwartz and their four children: sons Donald, Lloyd, Ross Schwartz, and daughter Hope Juber. You can watch an extensive interview with him from September 17, 1997 at The Archive of American Television. Read his farewell letter to family and fans here. We'll keep you posted if any tributes are planned. We thank him for entertaining us and bringing us so much laughter over the years. His iconic shows and those memorable theme songs will live forever. He will be greatly missed. MeTV Network is deploying a special evening of "M*A*S*H on Me" this Sunday (July 17, 2011) saluting one of the best series produced for television. 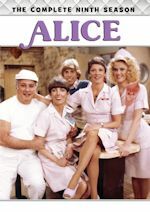 Beginning at 7/6c, five episodes from the iconic medical war series, including the pilot episode, will air. The movie, which started it all, will air at 8/7c. The episodes airing are: "Comrades in Arms (Part 1)," "Comrades in Arms (Part 2)," the feature film of M*A*S*H, "Pilot Episode," "Henry, Please Come Home" and "Abyssinia, Henry." The TV series M*A*S*H regularly airs on MeTV Network weeknights at 7/6c and 10/9c, along with airings on Saturdays at 7/6c and Sundays at 7/6c and 11/10c. To get ready for this mini-marathon, watch the promo.